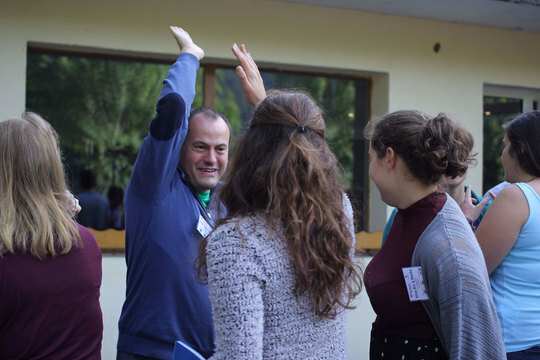 Bringing together YFU volunteers from Europe and beyond, Voluntaria aims to celebrate volunteering and further develop and connect a vibrant international YFU movement with individuals who are committed to develop and live the YFU mission. • create a self-directed space for learning, creation, fun and fostering new emergent projects. The idea for Voluntaria originated with some YFU volunteers during a EEE-YFU training course in Turkey in February 2014. They realized that what we were missing is a European get-together of experienced YFU volunteers. 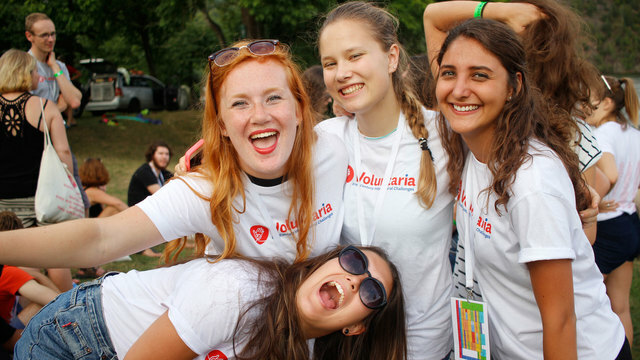 The 1st edition of Voluntaria was held in August 2016, an amazing event that gathered over 70 YFU volunteers in Czech Republic. The 2nd edition of Voluntaria was held one year later, in France, with the topic of “Global citizenship”. Both editions were funded by the Council of Europe.